Support is escalating for Gay Red Shirt Day this coming Friday and it could join the thinkb4youspeak.com anti-bullying campaign in what could become an international movement for challenging casual pejorative speech. You can visit the movement’s Facebook page and show your support here http://www.facebook.com/GayRedShirtDay. Gay Red Shirt Day came about after New Zealand Prime Minister John Key made a derogatory comment about a gay red shirt on a national radio show. In an interview to the press he later equated gay with weird, saying he had picked up the word from his son and it was in everyday use. John Key says he is voting for gay marriage and is “hardly homophobic” however his position (and that of many NZ politicians) changed after Barrack Obama announced his support for gay marriage. Up until that point Key was against it. 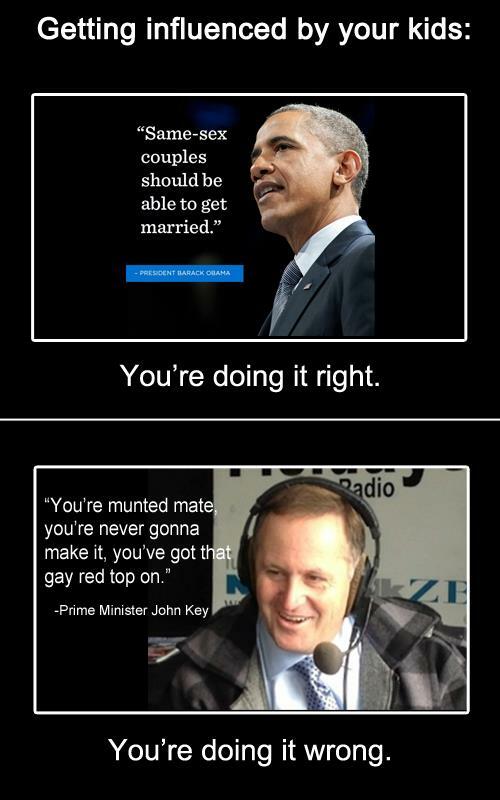 The day after Obama came out in support of gay marriage the Prime Minister changed his tune too. That’s quite a turn around for the National Party, a few years ago National MPs voted almost universally against the Civil Union bill. John Key had said gay issues were “not a priority” and his Justice Minister, Judith Collins, said gay marriage was “not a human rights issue”. In May 2012 John Key said his government was more focused on economic issues than “conscience moral issues“. “These are difficult economic times, there are big challenges for the government, and we need to use our precious time in parliament really to resolve those issues. At the third and final reading of the Civil Union bill in parliament, 24 National MPs voted against it, only 3 voted for it. 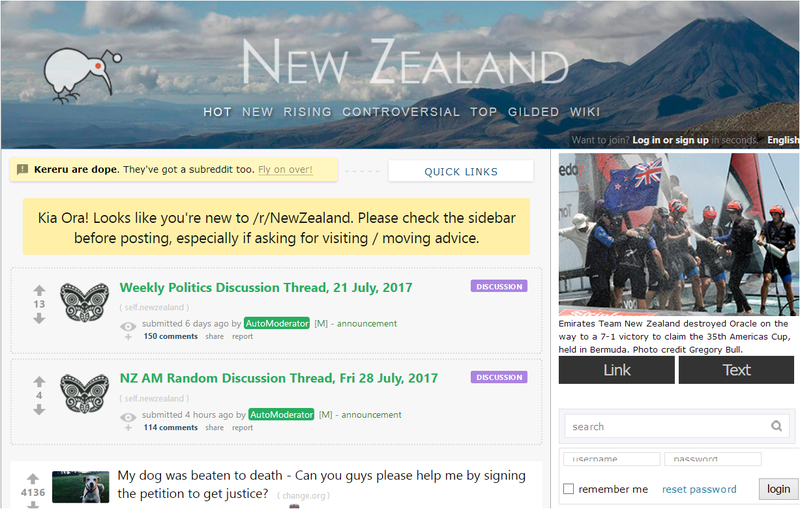 In parliament at that time was a new MP by the name of John Key, taking up his first seat for the electorate of Helensville. Fast forward three years to a month before the 2008 election, before his National Party formed a government in NZ, Key was canvassing for the gay vote. He gave an interview to the Gay Express (22 October 2008, see a copy HERE) but he told it he would not vote for Gay Marriage, nor would he vote for Civil Unions if it was presented again. John Key agreed to a phone interview with express last week, and called us en route from Auckland to Hamilton. He was quick to affirm his opposition to civil unions, and made no apologies for it. When pressed he said he didn’t see a need to change the legislation at the time, he wasn’t even proactively thinking about it. Turning to issues regarding the GLBT community, we asked Key if he thought, now the Civil Union Act has been in effect for four years, if the law went far enough – would he ever back the implementation of a gay marriage bill? …Would Key vote for civil unions if it were presented again today? Mr Key didn’t appreciate that there didn’t need to be an appetite for change. Gay marriage is more than a conscience moral issue for heterosexuals comfortable in their own relationships, it has everything to do with fundamental human rights for GLBT people. 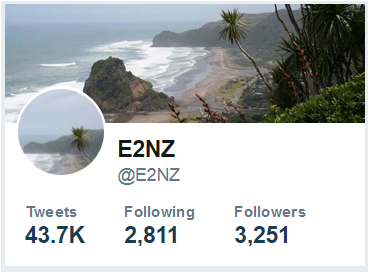 Obama could see this, and how fortunate for New Zealanders that he did. According to one American study 68% of GLBT youth say they hear negative messages about being GLBT from elected officials; only 16% hear positive messages from politicians. The report authors urge people to change their rhetoric and asks politicians to help end attacks on GLBT people and support their GLBT constituents. See HRC.org for more.